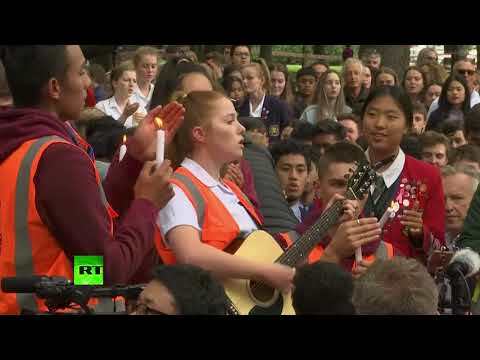 Students perform haka tribute at vigil for mosque attack victims in Christchurch | We Seek the Truth! Hundreds of students attended a vigil in Christchurch for the victims of terrorist attacks on two mosques in the city. The vigil took place in Hagley Park close to the Al Noor Mosque where the shootings began. 50 people were killed in the attack and dozens more remain in hospital, is New Zealand’s deadliest shooting in modern history.